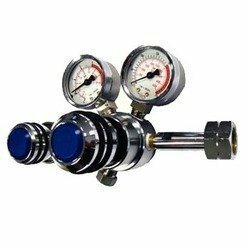 Prominent & Leading Distributor / Channel Partner from Pune, we offer pressure regulators, gas pressure regulators (all gases), ss regulators (all gases), general purpose regulators (all gases), point of use regulators (all gases) and point of use ss regulator (all gases). 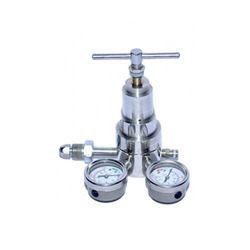 With firm commitment to quality, we manufacture and supply a wide assortment of Pressure Regulators that are widely used for liquefiable gases. 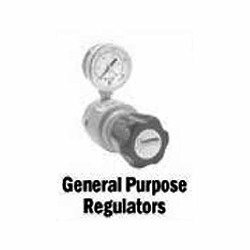 The offered regulators are available in varied dimensions and specifications so as to cater the needs of our prestigious clients. Our provided regulators are manufactured using the best quality raw material and ultra-modern technology in compliance with industry norms. 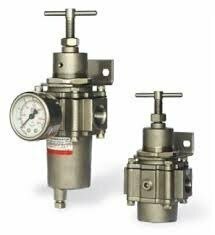 Reckoned as leaders in this industry, we are providing our esteemed clients with excellent quality Gas Pressure Regulators. 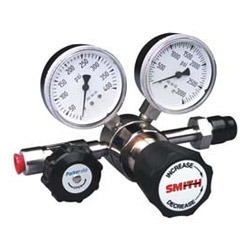 The offered pressure regulators are used to reduce high pressure gas of a cylinder to an occupational level so as to make them useable for various equipment and process. Our provided pressure regulators are manufactured using superior quality raw material and modern technology in line with industry norms. 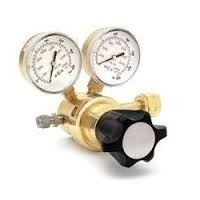 With the inclusion of modern equipment and sophisticated machines, we are engaged in offering a qualitative range of General Purpose Regulators (O2, N2, Ag, He, Zero Air, H2, D/A, CO2, HCL, NH3, N2O, SF6, Methane, Ethane, Propene, Clorine, Krypton, Neon, Lesar Gas etc.). The offered range is using advanced machinery. Being a quality-oriented organization, we assure our clients that this range is absolutely defect free and the best in quality. Apart from this, offered products are available at market leading price. 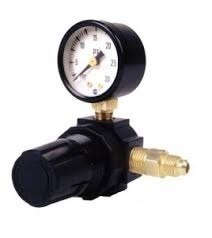 Leveraging on our long experience in the field, we are making precision engineered pressure regulators (O2, N2, Ag, He, Zero Air, H2, D/A, CO2, HCL, NH3, N2O, SF6, Methane, Ethane, Propene, Clorine, Krypton, Neon, Lesar Gas etc.) and other equipment. 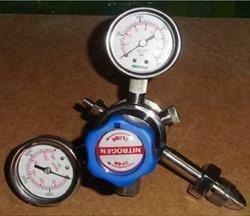 These pressure regulators include single pressure regulator and double pressure regulator. Our range is manufactured from grade 316 stainless steel and brass sourced from reliable vendors. The valves are widely used for the application for special and liquifiable gases and can be made available in standard options. 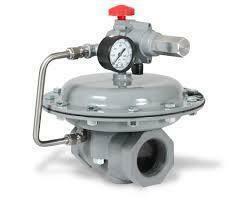 Owing to our in-depth domain expertise, we are providing a qualitative range of High Flow Regulator. 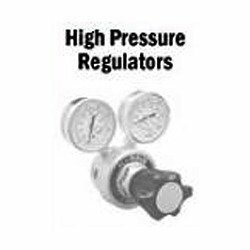 The offered regulator is manufactured as per industry standards using excellent quality raw material and cutting edge technology. 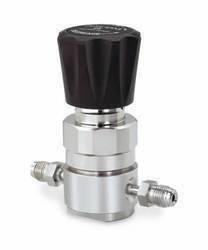 Our provided flow regulator is available in different specifications and designs to meet the needs of our prestigious clients. 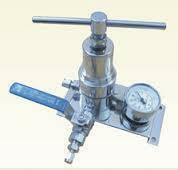 Moreover, quality examiners test this regulator against different quality parameters so as to ensure its quality. 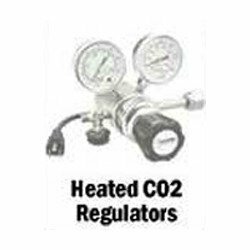 Being a quality-oriented organization, we are engaged in providing a wide array of Heated Regulators (CO2 & N2O)to our clients. The offered range is manufactured using the best quality raw material with superior technology. Furthermore, our offered products are also tested by our quality controllers as per set parameters to ensure that entire range is free from any production defect. 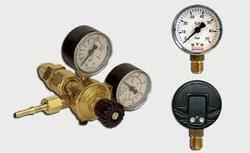 We introduce ourselves as an eminent manufacturer and supplier of superior quality Brass Regulators. The offered regulators are designed by our adept professionals using the finest quality raw material and modern technology in sync with industry norms. 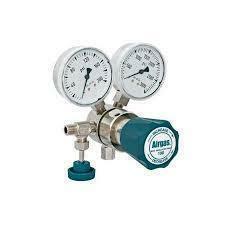 Furthermore, these regulators are tested on varied parameters by quality experts to ensure their quality. 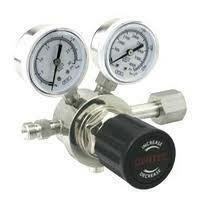 Clients can avail these regulators from us at affordable prices. 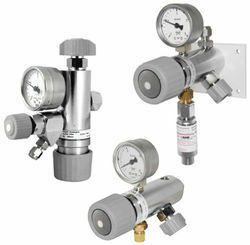 Looking for Pressure Regulators ?